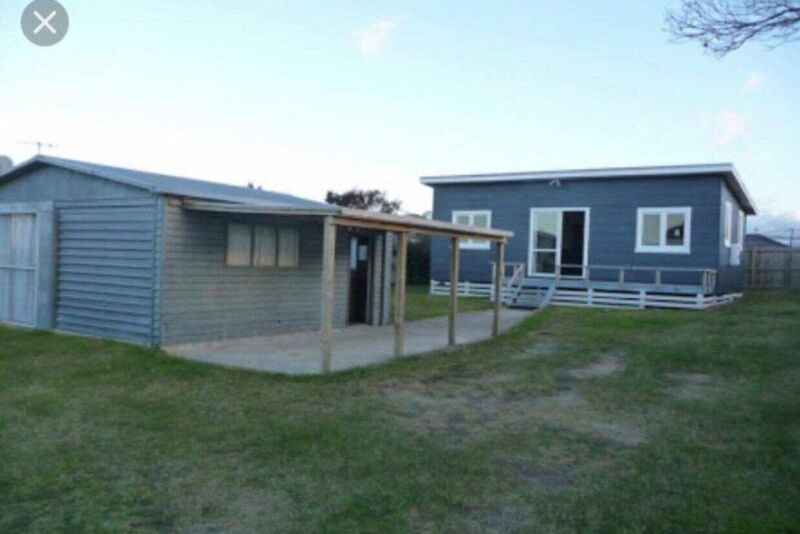 This beautiful kiwi bach, in a safe and friendly cul-d -sac, huge section, with plenty of room for the kids to run around or play on the tramp, sleepout is great for kids, leaving the bach a quite adults only area!!!! only a short walk to the town of whangamata, the beach is a about a 25 min walk away, or just a 5 min car ride, whangamata has some beautiful shops, and some of the nicest beaches i've seen. NOTE; not suitable for 9 adults as one of the bunkbeds is only built for children under 60kgs. Great little place to stay on a budget. Close to town.